Slept in until just after nine, got up, showered and walked Mix. 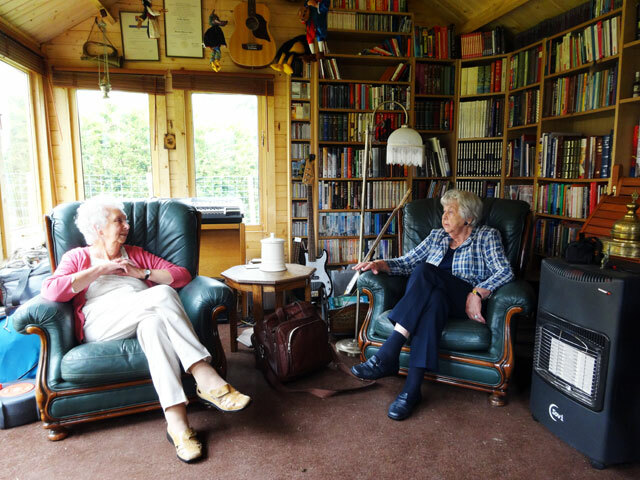 At this point I had planned to go off to the Duns Show but Mum had arranged that my Godmother, Aunt Agnes, would come and visit today so I stayed to see her. She arrived with two of her sons, my cousins Simon and Martin. Simon who lives in Hong Kong brought his wife Ita and sons James and Michael. It was really good to see them all. Olive had been baking, so we had something to eat and then we showed them around our activities. They have all been spending quite a lot of time at the Commonwealth Games, particularly at the hockey – all of them being great hockey buffs. I was sorry when they had to go on home to Edinburgh. Meanwhile Rachel had gone off to the Duns show which she greatly enjoyed. By all accounts it was a great event even if the weather was not very kind. Rachel told me of the animals and tractors, the produce exhibitions and the craft activities, the horse jumping, the gun dogs, the terriers’ race and all of the different stalls. Next year I will definitely be there. In the evening Mum took us all out for a meal to celebrate the sale of her house. 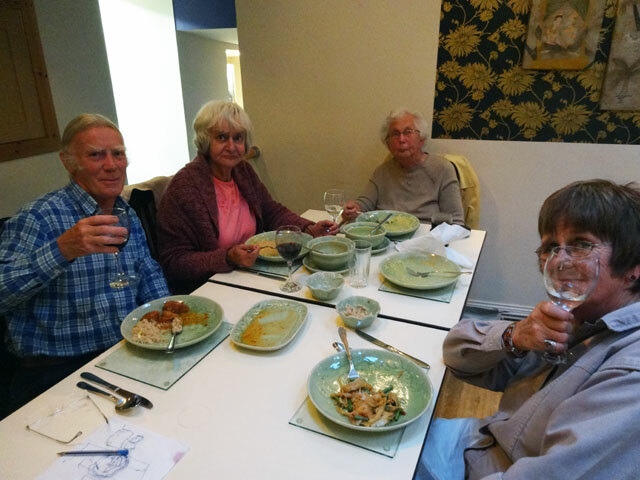 We went to the Thai Restaurant where we ate well – I started with strips of chicken in a peanut sauce and went on to curried king prawns with an egg fried rice accompaniment. It was excellent – as, of course, was our celebration. I drove us all home – the rest of the family had been ‘on the wine’— and I arrived home just in time to see Usain Bolt bring the Jamaican four times one hundred relay team home in gold medal position. It was good to see. I watched the news, walked Mix and went to bed.